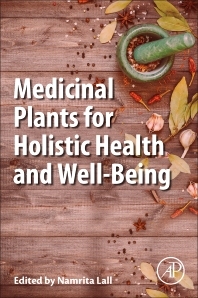 Medicinal Plants for Holistic Health and Well-Being discusses, in depth, the use of South African plants to treat a variety of ailments, including tuberculosis, cancer, periodontal diseases, acne, postmacular hypomelanosis, and more. Plants were selected on the basis of their traditional use, and the book details the scientific evidence that supports their pharmacological and therapeutic potential to safely and effectively treat each disease. Thus, this book is a valuable resource for all researchers, students and professors involved in advancing global medicinal plant research. Many plants found in South Africa are also found in other parts of the world. Each chapter highlights plants from other worldwide locations so that scientists can study which plants belong to the same family, and how similar qualities can be used to treat a specific disease. The book details the scientific evidence that supports their pharmacological and therapeutic potential to safely and effectively treat each disease. Each chapter highlights plants from worldwide locations so that scientists can study plants belonging to the same family, and how similar species can be used to treat a specific disease. Use of traditional medicine as an efficient means to identify and further investigate South African, similar plants and plant-derived compounds in modern drug discovery. Organized by specific diseases, with vital evidence-based data related to the bioactivity, pharmacological potential, chemical structure and safety information. Dr. Namrita Lall has co-authored more than 100 research articles in peer reviewed journals and written many book chapters. She has obtained numerous international and national patents. She has received international recognition for her research into the potential of medicinal plants for pharmaceutical and cosmeceutical purposes. She has been awarded National Research Chair in Plant Health Products from IKS, by the NRF/DST in 2016. Among several awards received in recognition for her work, a few are “The Order of Mapungubwe”, South Africa’s highest honour from the Honorable South African President Jacob Zuma (April 2014), Distinguished Young Women in Science Award by Naledi Pandor, Honorable minister of the Department of Science and Technology (August 2011), United Kingdom Royal Society/National Research Foundation award, South Africa (2005), “National Research Foundation/ Center National de La Recherche Scientifique (CNRS) award” (2004-05), S2A3-Gencor bronze medal by South African Association for the Advancement of Science (April 1997) and UNESCO-L’Oreal Award for Women in Science (one of the 10 selected candidates internationally, March 2002). Dr. Lall has presented numerous keynotes and plenary talks at international conferences. She has demonstrated commitment to community by interacting positively with traditional health practitioners and engaging them in advancing traditional medicines towards conventional pharmaceutical products.